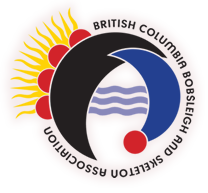 Following is a list of the different programs, experiences and opportunities available within the BC bobsleigh and skeleton community. Talent ID camps are held each summer by the national Bobsleigh & Skeleton association (Bobsleigh Canada Skeleton- BCS). These camps are used to identify athletes tfor the Canadian national team in each sport. BCBSA also holds annual physical testing sessions open to all our BC athletes. These are designed to allow each athlete to develop an understand of what off ice training can be used to improve their sliding performance. The results from these tests are also used in conjunction with other criteria to assess whether a member falls into the recreational, development or BC team division of the club. Stay tuned for the next BCBSA talent ID date. Discover is an entry level program, open to all. The one day, introductory school in Bobsleigh or Skeleton allows participants to get a taster of the sport & our provincial program on a drop in basis. For more information on each discover program and how to register click here. Once an athlete has completed either a Talent ID camp or a Discover program, they are eligible to join a multi day school in either Skeleton or Bobsleigh. In this school athletes will delve further into understanding equipment, technique and skills required to slide. Once an athlete has completed the required multiday schools, and has been signed off by a coach to slide from Curve 7 of the Whistler Sliding Centre track, they may join our provincinal training program. Both recreational sliders and competative athletes can join this program, with the option to slide 1-5 times a week from November- March. The flexibility of this trainign program allows athletes to work to their own schedule and budget to train with the help form the coach.